When I discovered that I was related to the Rukin family, I was first intrigued by the name. I had never heard of the name before and shortly after I started researching I realised that far from being common they were extremely rare. I remember asking my father (John Richardson) if he had heard the name Rukin mentioned when he was growing up. He recalled the name being mentioned and also told me that, ‘Them Rukins were involved in the establishment of Queens Park’. At this point I did a double take and started to take an enthusiastic interest in the ‘Rukin’ clan in Heywood where I was born. Could it be that this branch of my family was involved in the establishment of the magnificent ‘Queens Park’ in my home town, the place where I and tens of thousands of people visited every year? At this point I was hooked. Further research proved that the ‘Rukin Family’ did in fact not establish ‘Queens Park’ it was established with funds from the estate of Charles Martin Newhouse a wealthy local industrialist. However, one member of the family (my 2nd Gt Uncle Michael Rukin) benefited greatly from the Estate left by Charles Martin Newhouse. To set the scene for the next segment I need to show the relationship between Charles M Newhouse, who was a successful business man who owned two cotton mills employing hundreds of people, and Michael Rukin, a lowly coal miner who lived in a shared tenement. Charles and Michael were in fact brothers-in-law. Charles married Sarah Jane Ridings and Michael married her sister Betty Ridings. The story of both Charles and Michael needs telling, it is indeed a tragic tale of love, death and how the hand of fate can end one man’s life and benefit another. I include the following account of the tragic tale of Charles and Sarah Newhouse, followed by my account of the life of Michael Rukin. 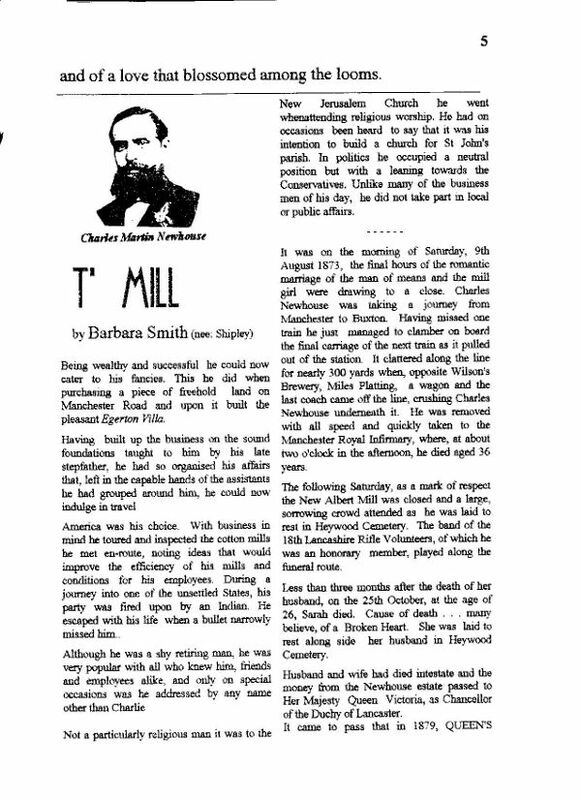 'The Story of Charles M Newhouse, (Love at t’ Mill)' ('Heywood Living Memories' #17) written by Barbara Smith (nee Shipley) who is the 2nd great-niece of Sarah Jane Ridings. 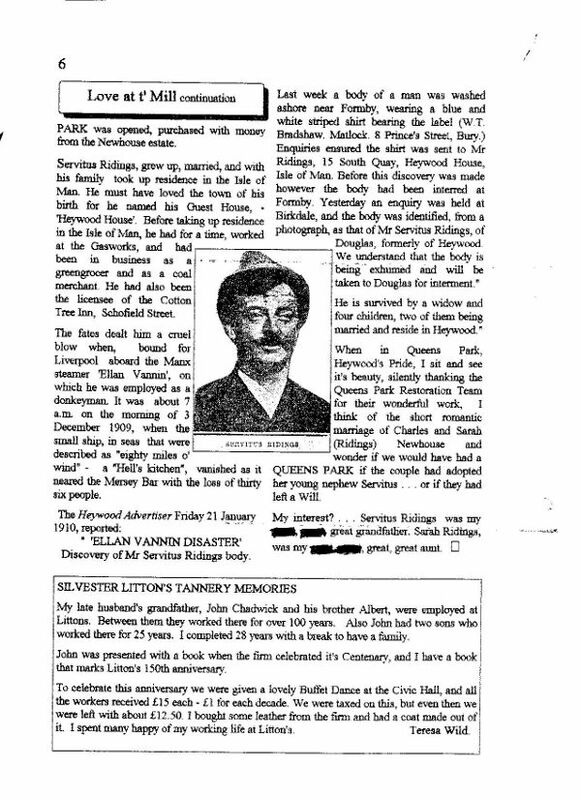 Please note I have deliberately left the account by Barbara Smith in its original form, and it features an account related to the sinking of the 'Ellen Vannin' on the Mersey Bar on 21 January 1910, which is relevant to the Riding’s Family. The story of Michael Rukin is truly a remarkable tale, of poverty love, tragedy and utter circumstance. The phrase ‘rags to riches’ just about sums up the life and times of Michael and Betty. Michael was born in the town of Bury, Lancashire, in 1847 to parents ‘Heywood’ John (b.1811) and Betty (Fitton) Rukin. The family moved to Kenyon Fold, Bamford, just to the east of the town of Heywood, and father John worked the drift coal mines that were scattered around the area of Bamford and Ashworth. During the 1850s, coal deposits were mined in the Hopwood area of Heywood and this coal fired the boilers of the burgeoning cotton industry in the SE Lancashire region. 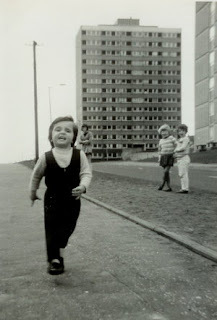 This expansion saw the family move to Hopwood and take residence in a large ‘back to back’ tenement called ‘Knowls Brow’. Life in this tenement would have consisted of shared ‘long drop toilets’, and water would have been cold only and most likely on a stand pipe close to the building. Michael contributed to the family income employed as a coal drawer from the age of 10. Tragedy was about to strike the Rukin household as in 1861 both Michael’s mother Betty (47yrs) and his brother William (18yrs) passed away. Life for Michael, however, was about to take a turn for the better when in 1867 at the age of 20 he married Betty Ridings, who at 17 years old worked in the local cotton mill. Betty was the daughter of John and Betty Ridings and the sister of Sarah Jane Newhouse. Michael and Betty set out on life and in 1871 lived at Lane End, Hopwood, where he worked in the coal pits of the Gregge Coal Company. When Michael married Betty Ridings he would have made contact with a world far removed from the one he was used to. With Betty’s sister Sarah Jane married to wealthy mill owner Charles Martin Newhouse, one can only imagine the social encounters and situations with Charles and his wealthy associates who can only be described as industrial royalty. The situation surrounding John and Betty Rukin was about to take a drastic turn for the worse and the next five years would undoubtedly the worst and most tragic of their lives, and at the end of the 1870s their lives would be changed forever. In the summer of 1873 Charles M Newhouse left his ten-acre property ‘Egerton Villa’ in Hopwood for a business trip from Manchester to Buxton. Having missed one train, Charles clambered on the last carriage of the next train. As the train left Miles Platting station the last carriage became derailed and Charles was crushed beneath. Charles Martin Newhouse died in Manchester Infirmary on 9 August 1873, aged 36. Following the tragic loss of Charles his young wife Sarah Jane was inconsolable, and was attended by her mother, father and sister Betty Rukin. They tried to salvage whatever they could from this tragedy, but it was all in vain, shortly after the accident Sarah became very sick and died on 26 October 1973, just a couple of months after the tragic loss of Charles. John and Betty Ridings lived in a cottage in the grounds of Egerton Villa, and the stress of the situation must have weighed heavily on them after the death of both their son-in-law and daughter within a couple of months. The situation regarding ‘Egerton villa’ and the other cottages within the grounds must have been an enormous task for the two of them. The wills of both Charles and Sarah presented a major problem as Charles’ widow Sarah inherited his estate. However at the tender age of 26, and only 2 months after the passing of her husband, Sarah left no will and effectively died intestate. 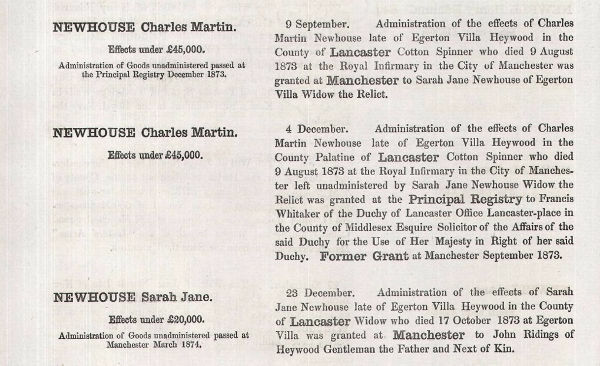 The resolution in December 1873 was that a large bulk of the estate of Charles Martin Newhouse was given over to the State to be administered by the Duchy of Lancaster; and the funds were used to establish Queens Park. With respect to the estate of Sarah, this was passed on to her father John Ridings. The property at Egerton Villa was purchased by a solicitor and some of the proceeds may have been passed to John and Betty Ridings. With the enormous burden of this situation the Ridings should have been able to rebuild their shattered lives and enjoy some level of comfort, albeit without their treasured daughter Sarah. It was not to be and in the New Year of 1874 tragedy came again to the Ridings. John became ill and passed away on 17 January, just a few short months since the passing of Charles and Sarah. Notice of the Wills of Charles and Sarah Newhouse. Notice of the Will of John Ridings. Following the passing of their close relatives, life must have been tough for Michael and Betty Rukin. Betty Ridings - John’s widow - inherited the balance of the estate which was considerable. Michael’s father ‘Heywood’ John died on 10 February 1875 aged 64. It is not known if this was the catalyst, but Michael and Betty Rukin together with their family and Betty’s mother moved away from the industrial area of SE Lancashire to the coast at Lytham St Anne’s, purchasing property and basically looking forward to a better future. John Rukin was 34 years old. Records show that the family bought two adjacent properties at 17 and 19 Cecil Street Lytham. It has been suggested that they may have had a third property but I have no record of this. In 1881 Michael and family were at number 17 and Michael was listed as a ‘Porter’. 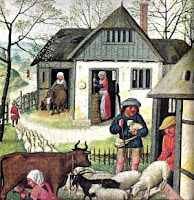 Betty Riding’s was listed as living at number 19 and is shown as an ‘Annuitant’. As the family settled down to a comfortable existence with little or no money worries, tragedy came again to haunt Michael and Betty Ridings. Michael’s wife Betty Rukin died on 12 April 1883 aged only 33, only a few short years after the upheaval of the tragic loss of Charles and sister Sarah. The granting of her estate would have been of little comfort to Michael who had endured so much tragedy in his life. The Will notice of Betty Rukin. Following the passing of his wife Michael was left with six children under 12 years old; John aged 12, Charles Martin aged 9, Mark aged 7, Joseph aged 5, Betty aged 3 and William aged 2. It is not known what part Betty’s mother played in the bringing up of the children after the death of her daughter, but it would have been a massive challenge for anyone. Betty Ridings, who had seen so much tragedy in her life, finally passed away in 1886 aged 68. Michael sold his house at 17 Cecil and moved next door. The Rukins had a house keeper, called Mary Crookhall, and she and the family were now resident at 19 Cecil Street, the former home of Betty Ridings. Over the ensuing years Michael apprenticed his children into trades, and this set them up for life in an ever-changing world where tradesmen where in demand. In relation to the respect and gratitude that Michael must have had for his brother-in-law Charles Martin Newhouse, it is pertinent to point out that after his death in 1873 Michael named his next child Charles Martin Rukin (b.1874). 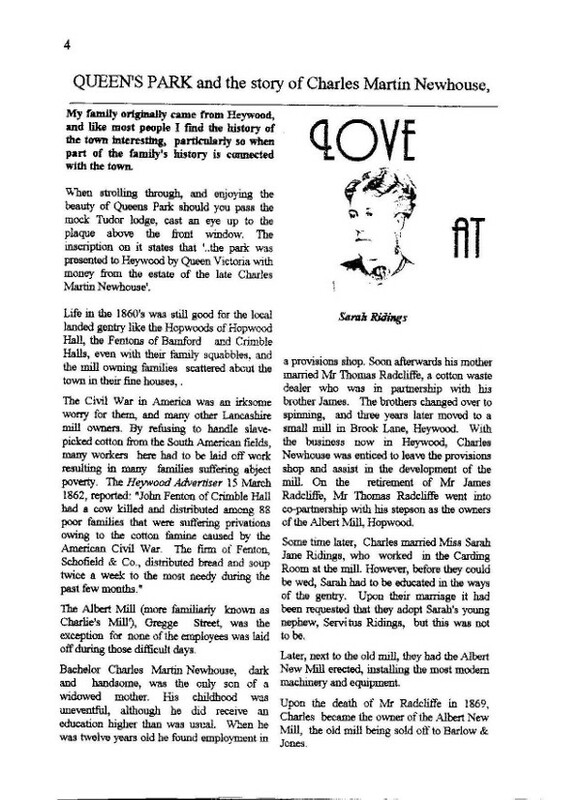 The name carried on in the next generation when Charles and wife Annie (Bamber) Rukin named their son Charles Martin. Michael’s son Mark (b.1876) also named his first son Charles Martin Rukin. 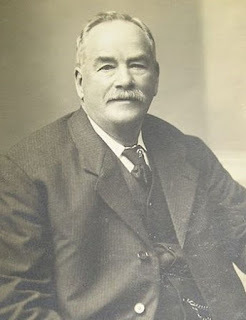 Michael Rukin continued to live in Lytham until his death on 9 January 1939, aged 92 years. His family continued to thrive no doubt due in part to the good education he provided to his Children. These days his family are scattered all around the UK and in Canada. His son Mark and wife Harriet emigrated to Canada just before the dark days of WW1. The other members of Michael’s family moved around mainly in the Lancashire area. Notice of the Will of Michael Rukin. Finally, the longer and deeper I have researched this branch of my family I have gained an enormous amount of respect for Michael Rukin and the tragedy and pain he must have endured. Michael was my great-grand-uncle and the brother of my great-grandmother Dinah Rukin (Richardson).